Angela Merkel rose to power in German politics after the fall of her mentor, Helmut Kohl. He had accepted secret donations on behalf of their political party the CDU. Angela Merkel rose to power in German politics after the fall of her mentor, Helmut Kohl. He had accepted secret donations on behalf of their political party the CDU. After the scandal erupted in December 1999 Angela Merkel wrote a newspaper article condemning his actions. Soon she was the party's new leader. Tim Mansel has been speaking to her biographer Evelyn Roll. 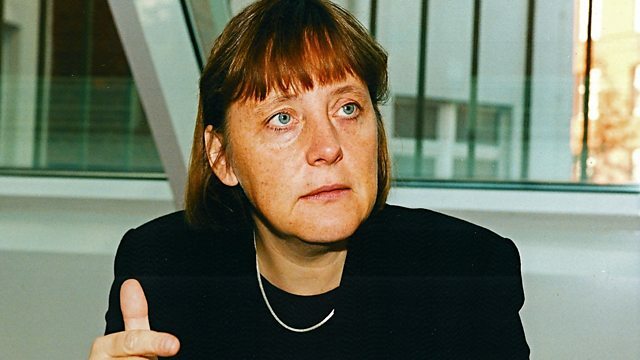 Photo: Angela Merkel in 1999. Credit: Getty Images.